Incredible Value in Pronghorn Ranch......Property has a 2146 Square Foot Ranch on a Large .28 Acre Corner Lot with Open Floor Plan, having 4 Bedrooms, 2Bathrooms, 2CarGarage, GREAT ROOM Concept, Vaulted Ceilings, NEW Vinyl Wood Plank FLOORING, Newer Carpet, New 2 Tone Interior Paint, Horizontal Blinds, Upgraded Lighting, and has a Huge Enclosed Back Patio to enjoy VIEWS of Mingus Mountain all year round !!!! Kitchen has White Painted Cabinetry with Corian Counter Tops, all Kitchen Appliances including Fridge, Island, Pantry, & Planning Desk. Your new Master is Spacious, has dual Sinks, Garden Tub, Separate Shower, and a Large Walk in Closet. CONTINUE: Home is Totally Electric and comes with a FULLY PAID Solar System producing a Negative Electric Bill so adds Tremendous VALUE to this property !!! 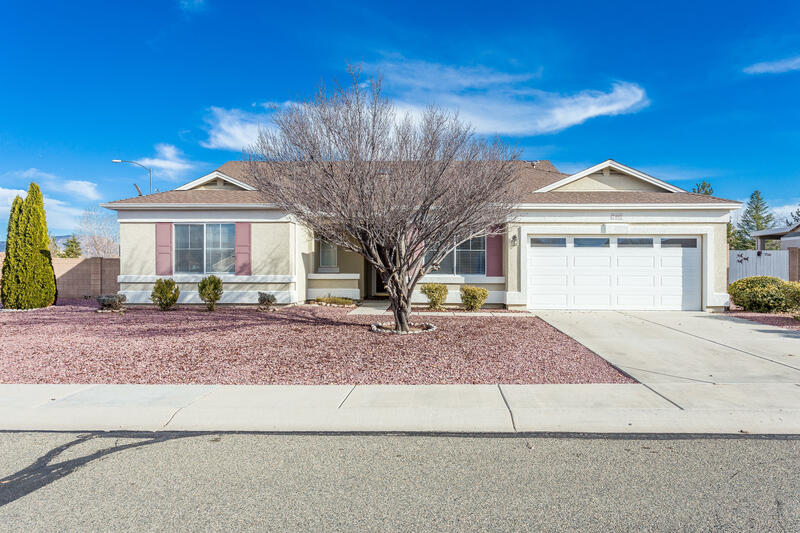 Additional Bedrooms are Good Sized, (1 could be a Den), has a Superior Landscaped Front & Rear Yards, Privacy Fenced Block Wall, & is close to Pronghorns Beautiful Club House/Pool and is less than 10 minutes to all Shopping, Medical, Entertainment, & Yavapai Regional Medical Center(East Campus).